If you were in a slip and fall accident start a free chat now! 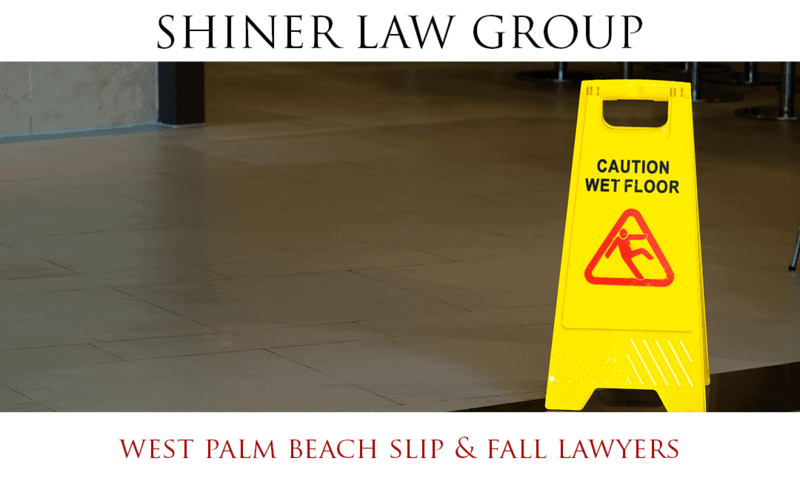 Were You Injured In A Slip and Fall Accident in West Palm Beach? West Palm Beach slip and fall accidents can cause painful, debilitating injuries like traumatic brain injuries, spinal cord injuries, and hip fractures among victims of all ages. However, residents in 55+ communities face a much higher risk of suffering life-altering injuries because seniors tend to fall more frequently, suffer more extensive injury, and face a longer period of recovery and rehabilitation. Given the prevalence of 55+ communities in West Palm Beach and the surrounding areas of Boyton and Lake Worth, seniors and loved ones need to be aware of the risk factors that increase the risk of an older person falling, as well as their legal rights to compensation. The risk of suffering a catastrophic injury or wrongful death in a fall caused by the negligence of another individual or entity increases dramatically with age. The National Floor Safety Institute (NFSI) has indicated the probability of a fall rises with each decade of a person’s age. The NFSI also reports that nearly one in three (30 percent) seniors age 65 and older experience a fall. Ten percent of those seniors who trip or slip and fall suffer a significant injury. Because Florida has the greatest number of senior citizen residents in the United States, 55+ communities like Valencia Bay Boynton Beach, Palm Isles Boynton Beach, and Lake Worth Towers are expected to offer a reasonably safe environment for older Florida residents. However, the failure to exercise care to keep these developments free from hazards can expose older individuals to serious injury. Seniors also can be more prone to slip and fall hazards because they frequently have more limited mobility. Many older Florida residents need the aid of a walker, cane, or another assistive walking device. These devices partially are intended to make those with compromised mobility safer, but they can cause permanent injury when they are bumped or fail to offer the stability and support that is anticipated. As a matter of fact, during the many cases our firm has handled, we have seen an increase of falls occurring at or near public places such as City Place and the Kravitz Center. In certain cases, these injuries require immediate transportation to local hospitals such as JFK Medical Center, St. Mary’s Medical Center, and Good Samaritan Medical Center. Because of the unique demographics of West Palm Beach, many elderly residents of 55+ communities suffer debilitating injuries in slip and fall accidents on the property of others. Prompt legal advice from an experienced West Palm Beach personal injury attorney is important because these cases tend to be fact-intensive, so time is of the essence in investigating to gather evidence and speak to witnesses. If you have been injured and you live in Century Village or King’s Point, our West Palm Beach slip and fall attorneys will travel to you to assist you in helping to obtain the most financial compensation. If you need a personal injury law firm to represent you call the slip and fall attorneys at the Shiner Law Group for a free no cost consultation. Our lawyers have been working with victims of slip and fall accidents for over a decade, and our dedicated attorneys are familiar with the issues that frequently cause accidents. Most importantly, our trip and fall lawyers know how to win cases. Call our law firm today to discuss how we can win the most compensation for you or a loved one who was hurt as a result of a slip and fall. • Were You Injured In A Slip and Fall Accident in West Palm Beach?